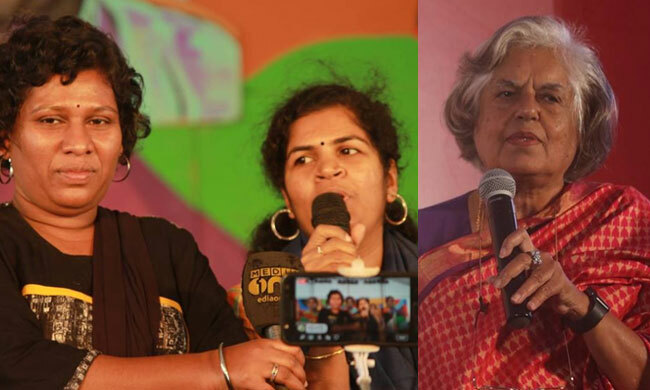 Today, Senior Advocate Indira Jaising mentioned before the CJI a petition filed for round-the-clock police protection for Bindu and Kanaka Durga, two women who had entered Sabarimala on Janaury 2. Jaising sought for urgent listing of the matter saying that the women were living under constant fear, and they needed police protection and security from the agitated mob who protest their temple entry. Agreeing to the request, the CJI said that the matter will be listed tomorrow. All women who wish to visit the temple should be assured protection and security to enable them to undertake the pilgrimage without danger to life and liberty, the petition said. Yesterday, the attempt of two other women to enter the temple got foiled after protests erupted in the trek path. The petition has also sought a prayer to direct authorities not to conduct the rite of purification or to shut the temple on account of entry of women in the age group of 10 to 50 years. It seeks a declaration that such purification ceremonies violate the constitutional ban on untouchability as per Article 17. Following the entry of these women on January 2, the head priest of the temple had closed it for an hour or so to perform ceremonies, which were allegedly for purifying the defiling effect caused to the temple and deity due to women entry.